Hi guys! I hope you’re doing well this fine Sunday afternoon. 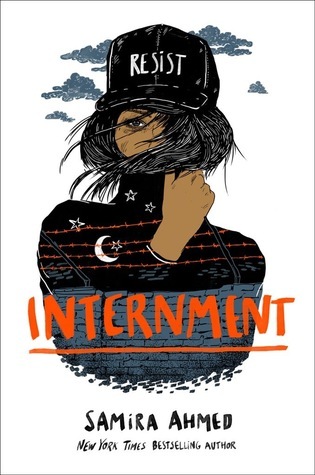 I’m back again with a review of this fantastic book — Internment by Samira Ahmed. This is Samira’s second book, and it’s absolutely riveting. I couldn’t put it down! I want to do a special thanks to The Novl for sending me a copy for review! With the help of newly made friends also trapped within the internment camp, her boyfriend on the outside, and an unexpected alliance, Layla begins a journey to fight for freedom, leading a revolution against the internment camp’s Director and his guards. Heart-racing and emotional, Internment challenges readers to fight complicit silence that exists in our society today. I was riveted from page one in this book! It was absolutely fantastic. I feel that I don’t even have enough words for this book. Yes, there were some parts where I felt some of the dialogue was kinda cheesy, but genuinely, it didn’t matter. This world created was scary familiar. I like how real Ahmed made this world. It operates in the same world as today, and the parallels are very realistic. The way things unravel and how people are interned in the book are extremely realistic, and I believe Ahmed did some research into this. I really appreciate how she reminded people that America has done this before with Japanese Americans and Japanese people. This part of American history isn’t talked about enough, and we need to remember that there is precedence for what is happening now in this nation. I love all of the characters in the book. They made the book something incredible. As much as I hated the director, he was very compelling. I feel like he was the vitriol of hate in one person. Layla was awesome as a character. There were a few times that I felt that she had some corny lines, but they didn’t take away from the book as a whole. Her flaws made her real, and that was what I loved the most about her. I highly recommend this book! It puts a lot of things into context and makes you reflect a lot on yourself. Hi there and happy end of January! I can’t believe the first month of the year is already over. It’s crazy to think that we’re already one step closer to the end of the year. If you remember, one of my New Year’s resolutions was to blog 3 times a week. I’ve already sort of failed at this one, but seriously, college and blogging aren’t always compatible! I actually had wanted to post this yesterday, but it got pushed back to today because I still had a lot to do even though I had the day off yesterday. Anyway!! Here I am again with a wrap up post for the month! In this post, I’m going to talk about the books I got to read this month (Ahh so many!! ), and I will definitely link my reviews if they are live. This month I managed to read a total of nine books. I’m pretty impressed with that! I had been struggling to read two books in the fall, and I’m even busier this semester. Something that helped me this semester was getting back into listening to audiobooks. I absolutely adore audiobooks because they let me get other work done while still engaging with a good book. I think my favorite book to listen to was The Wicked King by Holly Black. The narrator is excellent and the book itself is incredible! I can’t wait for Queen of Nothing to come out next year!! Eleanor & Park was a re-read, and I’m so glad I did. I think that was the third or fourth time I’ve read that book. Every time I read it I remember how much I love Rainbow Rowell’s writing. I can’t wait for Wayward Son!! Have you read any of the books I read this month? What did you think? Let me know in the comments! Happy Wednesday everyone! I hope you’re having a good week so far. 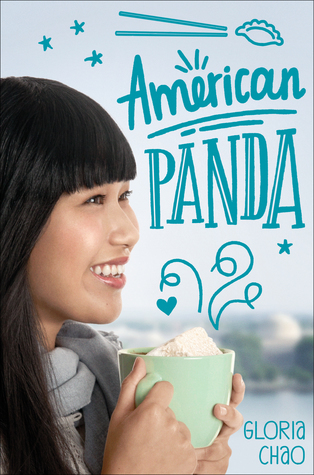 This remember when I said I would make a longer list of books that are coming out this year with Asian characters? Well today is that day! I’ve been looking forward to this day for so long, and I can’t wait to make this compilation for you. I will be including ones that have been or will be released in 2019, so get ready. Described as Chinese Game of Thrones, He’s debut follows Hesina as she’s thrust into her crown when her father, the king, is murdered. As she investigates her father’s death with illicitly retrieved information, Hesina must protect her court and navigate the deception. Lu and Min are betrayed when their father, the king, names their male cousin the heir to the throne. The sisters descend on two very opposite paths, but both pursue what they believe to be their rightful place in the kingdom: the throne. K-pop idol Lucky is on a sole mission to find a burger after her performance in Hong Kong, and tabloid writer Jack sneaks into her hotel on assignment. When the two accidentally bump into each other, sparks may catch fire. This anthology chronicles lives through one of the best parts of culture: food! While it’s not particularly Asian focused, it does include many tales written by Asian authors, and I can’t recommend this enough. I can’t wait to read it myself! Ashish Patel gets dumped and loses his mojo, so he grudgingly agrees to be set up by his parents. Sweetie Nair, a formidable track and field athlete, is tired of her parents telling her that her fatness makes her lacking. In a turn of events, the two find themselves together and sparks may be flying. Maia’s dream of becoming the best tailor in the land is suddenly rocketed forward when she answers a summons from her father at the court. Posing as a boy, Maia weaves her way through court intrigue, and will face the ultimate challenge of sewing the gown of the emperor’s bride-to-be. Returning to her childhood home in San Francisco’s Chinatown upon the news of her mother’s passing, Natalie Tan find the transformation of businesses that were once booming. Natalie also finds that she inherits her grandmother’s restaurant. Facing the choice of helping her community grow and her own harbored resentment toward it, Natalie finds help in unexpected people. Fashion enthusiast Kimi Nakamura is determined to turn everyday things into her own original projects. As things become a mess at home, she jumps at the chance to visit her grandparents in Kyoto and is swept up in the gorgeous new-to-her city. Unbeknownst to her, Kimi may just find things are closer to her heart and discover more about her mother than she thought she would. Esha moonlights as the Viper, the top assassin combating the fallout of what she lost in the coup. Kunal has been a trained soldier his whole life, and he has never strayed from his path under the watchful eye of his uncle. When their paths cross, their worlds are blown apart with both vying to be the one on top. Sora and Daemon seek to set themselves apart in their society and become part of the elite warriors Society of Taigas. During one of their scouting missions, Sora and Daemon encounter a mysterious group of soldiers and decide the best way to help is to infiltrate them. Raya Liston feels bound to her path with her acceptance to UCLA. When her grandma passes and the opportunity to spend the summer in India with her cousin in the place her grandma spent many of her formative years, Raya jumps at the chance. What surprises her the most is the abundance of love and herself. With an affinity towards blood, Anastacya Mikhailov has learned that she is a monster. An accident in the middle of the night results in the death of her father, and she is sentenced for his murder, but Ana flees with the truth. On the run, Ana must find allies and uncovers the deadly world that would kill her father to stage a coup. Aza Wu has been burned by magic before — it has taken her sister from her, and she knows to stay far from it. In the shadow of her sister’s loss, Aza must save the legacy of her family’s teahouse, Wu Teas. Stumbling upon a secret invitation, Aza decides to take a chance and enters an underground casting ring, where the stakes may be higher than what she bargained for. That was an awfully long list, I know, and that doesn’t even cover half of what I want to read. I’m sure that I will come out with another list once more releases are announced, especially toward the middle of the year. I hope that you make sure to check them all out this year and support this amazing community. I know, I know. There are just about a bajillion lists like this out there already, but not one from me. I’m going to make more categorical lists in the future, but for now I’m going to stick to a big list overall. 2019 is going to be such a huge year for YA! There are more and more books with #OwnVoices rep coming out every year, and I’m so excited for the ones we have in store, especially the Asian-American ones! I’m going to write one specific list on that bad boy, but for now here are 4 of my highest anticipated ones. Gender bent King Arthur? Nonbinary rep? A badass cast of characters? If that’s what you’re looking for check out this lovely novel! I love Cori and Amy Rose, they are my favorite writing duo, and my favorite duo in general. Keep an eye out for this gem come March! Set in a gorgeous world where people are discriminated against by their proximity to the unlivable conditions near the sea, this book brings political intrigue and mystery to your front door. This book has excellent rep and multiple badass women. Prepare to scream at that cliffhanger! Read my review of it here. Best friends Peter and Sophie are inseparable, so much so that Sophie gives a kidney to Peter. No, really. Peter has been on the kidney donor list for years, and when Sophie turns out to be a match, she becomes his donor without hesitation. As they navigate their worlds post-surgery, they find that their relationship may not be what the other hopes and thinks. This book is an unrequited love gone bad, and I absolutely love that. I read The Cruel Prince over break, and I was SCREAMING! I think that everyone and their mother has been ready for this book, and I can’t wait for my copy to come in! What are you hoping to get your grabby hands on as soon as it comes out?! Wow, can you believe it’s already 2019? And this is the FOURTH volume of my small updates. I can’t believe the time has flown by so fast. It feels just like yesterday that I had started this blog with my fellow book lover Maiya. I was but a wee sophomore in high school. 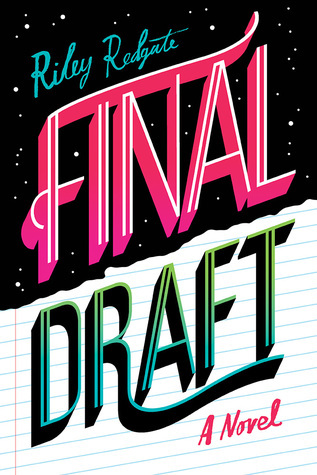 Flashforward, and I am not writing from my fourth semester in college. I want to apologize for the lack of posting. I always say that I will be more active every year, and it honestly just slips by the wayside as I get busier. It’s harder when I have so much on my plate and I’m out of a regular habit of writing. I’m going to try in earnest this year to write more on here. I want to document more moments of my life in writing, and this is going to be my way in! I read 79 books last year! My goal was to read 100, but once I started the fall semester I really hit the ground running. It didn’t bode well for my reading. That being said, I did get quite a lot in there! I’m doing a mini series of books I loved featuring author interviews, and you can see the first post here. I also started my second fall semester of college! I was really excited to go back — I missed my best friends so much! It was a hard semester for me. I joined three groups on campus, and am finally facing a lot of personal questions I didn’t know I had. I feel that I’m getting know myself better through this entire process though. Shout out to my two best friends, Abby and Haley, (and my family!) for letting me ugly cry so much in front of them! I’m not much one for sticking to resolutions. I’m quite terrible at it to be honest, but this year I want to set just a few to see it they’ll stick better. They may be small, but I’m ready to focus all my energy into them. What are some of your resolutions? Tell me in the comments below! Currently Listening: I’m still so in love with K-Pop, and I’ve expanded who I listen to! I also recently started listening to C-Pop, mostly Mandopop. There are so many great artists out there, and I’m so impressed by their talent. Do you listen to K- or C-Pop? What groups do you follow? Any suggestions? Currently reading: I’m reading so many books right now it’s not even funny. Fresh Off the Boat, I loved Constance Wu so much in Crazy Rich Asians that I decided to watch her tv show! I hope you liked this update! I don’t know how often I will do a life update, but maybe if I stick to blogging it’ll be once a week. I can’t wait to see what 2019 holds for us, and thank you for sticking it out with me over the years. Hi, and welcome to a rainy Sunday here in Michigan! I hope you’re having a good weekend so far. It has been quite busy here around campus with Halloween coming up. I’m changing it up here a little to bring you a review of a book that came out this past month. Thank you to The Novl for sending me this book in exchange for an honest review. This in no way affected the way I read and review it. Believing they have been recruited by the CIA, six teen hackers arrive in LA for a hacking aptitude test with the promise of a college scholarship and a job with the CIA after graduation. But one of the teens, Owen, walks out, refusing to participate. The other five decide to stay and complete the tests. When they finish, they leave feeling equally accomplished and unnerved. Then silence-until they receive a text from Owen: You’ve been played. He’s uncovered evidence that the hackers created “Phantom Wheel,” the most devastating virus ever made. Jacento, the corporation behind it all, plans to use this virus to gain unprecedented access to personal data. And that’s just the beginning of the devastation. 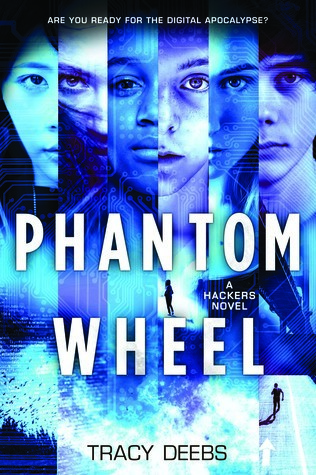 Can the teen hackers stop Phantom Wheel-and protect their own secrets from being revealed-before it’s too late? This book starts a little slow, but it picks up after the five remaining hackers perform their hack. It is heavily plot driven and full of action. This was probably the best part of the book — it kept me on the edge of my seat the whole time. It’s told from three perspectives, and while this is really nice to see inside their heads, I felt that their voices bled together a little. I got a little lost trying to figure out who was telling the story sometimes. Overall, they were compelling and fun to get to know. I wish I had gotten to hear from the other characters too, but I can see being six voices being hard to keep track of. I loved the setting and how detailed it was. I felt like I was right there with them as they untangled the web of lies. As compelling as the story was, it wasn’t quite the right book for me. I wanted to like it more than I did, but that doesn’t mean you shouldn’t read it. I highly recommend this to people who love sci-fi and high stakes. It was a fun read nonetheless. Hi guys, and happy new book Tuesday! 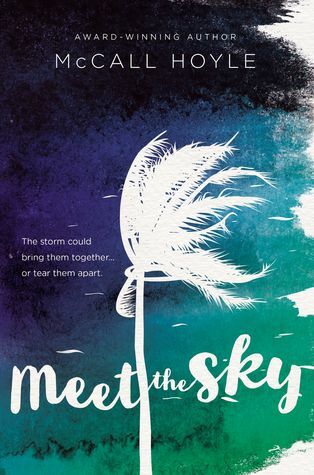 Today I’m bringing you a newly released book — Meet the Sky by McCall Hoyle. This book was sent to me for review, however this has no bearing on how I read or reviewed the book. Thank you BlinkYA books for sending a copy! I feel very neutral about this book. It was good in some parts and okay in a lot of it. I think the reason I couldn’t really invest in the book was because the voice of the main character, Sophie, didn’t speak to me. I couldn’t sympathize with her very well, and I couldn’t invest in her as a character. The plot of the story was well done. I liked learning more about a hurricane and how Sophie deals with it. I grew up and live in the Midwest, so I’ve never experienced a hurricane besides the storms that blow in north which is nothing compared to the real thing. I was wondering how the author would work out getting Sophie on the island without her mom and sister, and the way it happened seemed very natural. Something I liked about the book was that Sophie grew. There were a lot of points in the book where she changed and became someone different. Despite this I still couldn’t feel a personal connection with her. I think the non-risktaker-turned-free-spirit trope isn’t really working in this book very well. I do appreciate character growth and change though. Overall, I rated this book a 3 because there was still a lot of good story to it. It just didn’t work for me, which doesn’t mean it won’t work for you! I really encourage you to try this out and develop your own opinion on this. It might be your new favorite book. I know there are a lot of people out there who really love this book, and you might be one. Hey there! I’m here again with a review of a book I read earlier this summer, but didn’t quite vibe with. Thank you to the publisher for sending a copy my way. This has no influence on the way I review and read the book. This book didn’t work out for me the way I hoped it would. I have heard many great things about Redgate’s books in the past, so I was curious to read this one. I think what I struggled with in this book was the tone and style of the writing. I didn’t feel like Laila would speak and act like this. I’m not much older than 18, and I feel like it wasn’t quite a representation of life as a high school senior in general. Reading it, I felt like she should have been a younger character than she was (maybe earlier in high school). There are many beautiful lines within the book. I feel that there were a lot of great moments and scenes, but they didn’t connect well. It was almost there, but not quite. All of this being said, I don’t think my opinion is the end all be all. It’s exactly that — an opinion. I think you should still give a book a try if you think you’ll like it. This may just be the book you fall in love with! Hi there! Checking in for the month because honestly, I can’t remember the last time I did this. I know for sure I missed June, but hey, we can’t all be perfect. I’ve been super busy since leaving school in May, and pretty much hit the ground running. Work has consumed a lot of my life. I don’t mind it, but I don’t love it either. I work at a mini golf course, and while it’s entertaining sometimes, the customers can be a pain. I’ve mastered my customer service voice, and my introvert soul gets a little anxious when it gets too busy. Right now we’re at the peak of our season, soon to be finishing up after the first weekend of August when a big festival in my town wraps up. It’s exhausting really, and I don’t get much of a social life because of opposite schedules with friends. I have made time for my friends though! We try to visit each other when we can, and I do have a few here in town that it’s nice to see more often now that we’re home. It’s truly a privilege to have made so many new friends my first year of school. I’m so glad I get to see them often in the summer too! Shoutout to all of my friends I’ve missed because our work schedules are literally the opposite or you live too far for my broke a** to drive and visit. I still love you!!! The Kiss Quotient by Helen Hoang was excellent and I stayed up until 2 AM because I made the mistake of starting it late. I happened to have to work at 9:30 the next day but who cares. Y’all need to get your hands on a copy of it stat. A Thousand Beginnings and Endings by Ellen Oh & Elsie Chapman is an anthology of Asian myths and legends. I started this a few nights ago and I love it so much! This is something I wish I had when I was younger. There isn’t enough space for Asian stories in America. BTS — you may or may not have heard of this kickass KPop group. Guys, I can’t stop listening to them. Love Yourself: Tear is a gift to humans everywhere and I can’t wait for Love Yourself: Answer this August!!!!!!! KDramas — following my obsession with BTS my friend and I watched Hwarang because one of the members is in it. Cue my continued watching of other dramas. I love the stories and how intricate they become. There are, of course, some downfalls to the stories, but I’m obsessed either way. I’m always looking for recs if you have them! I love love debut novels, and you don’t want to miss this one. I had the amazing chance to go meet Gloria in Chicago. I had such a good time, and we had a bit of an adventure trying to get back to Michigan. More on that later, let’s jump right in! At seventeen, Mei should be in high school, but skipping fourth grade was part of her parents’ master plan. Now a freshman at MIT, she is on track to fulfill the rest of this predetermined future: become a doctor, marry a preapproved Taiwanese Ivy Leaguer, produce a litter of babies. With everything her parents have sacrificed to make her cushy life a reality, Mei can’t bring herself to tell them the truth–that she (1) hates germs, (2) falls asleep in biology lectures, and (3) has a crush on her classmate Darren Takahashi, who is decidedly not Taiwanese. Mei was awesome. I loved getting to know her and the story was amazing. I couldn’t put it down! There were times that I was laughing out loud walking around campus. It was cute and funny. This book FLEW BY for me! I couldn’t put this one down. I loved Mei and I loved her personal journey throughout the whole story. It was exhilarating, and I loved every moment of it. I wanted to finish this in time for the event that coming Saturday and I finished in time for my friends to even finish the book, too. This was a quick, sweet read. Mei’s parents are big characters in this book, and their presence is felt throughout the story. Mei’s mom was well-meaning and loving. She tries to do a lot for Mei so Mei can focus on studying. I understand where they’re coming from, and from what I can tell this is a very accurate snapshot of what it’s like to grow up with Taiwanese parents. (I cannot speak from personal experience because my parents are Caucasian and American, though I am Chinese.) Chao pulled a lot of personal feelings and emotions into this story, and I appreciate the accuracy of her representation. Another aspect I really liked about the book was her representation, even with the cover art. You never notice the lack of rep on covers until you see it, and you wonder why you haven’t see it before. I don’t see a lot of books with Chinese women or other Asian-American/Asian out in the world, but I love the recent efforts made by those women to write their stories. This book does a good job of having diverse characters but not having that as the main focus of it. The story centers on Mei coming into her own in her freshman year of college. This setting is also something that isn’t often written in. I found that a lot of stories are about adults or high schoolers, especially seniors. This is another thing done well by Chao. She captures the freshman experience within her novel. Freshman year of college is a huge transition, and I think that Mei went through a lot of the things I’ve felt this year so far. She is trying hard to set herself apart from her parents while still needing their help. She wants to do things her way and must balance the wishes of her parents. One thing I do wish it had done better was talk about Mei’s mental health. There are small conversations about it here and there, but it’s never addressed head on. However, I can see that it wasn’t the full part of the story so I can see why it wasn’t completely talked about. I feel like I could talk about this book for days, but I’ll wrap it up here. I had an amazing time at the event at 57th Street Books. This is one of my favorite bookstores to visit, and I make sure to go when I’m in the area. Here’s a photo!